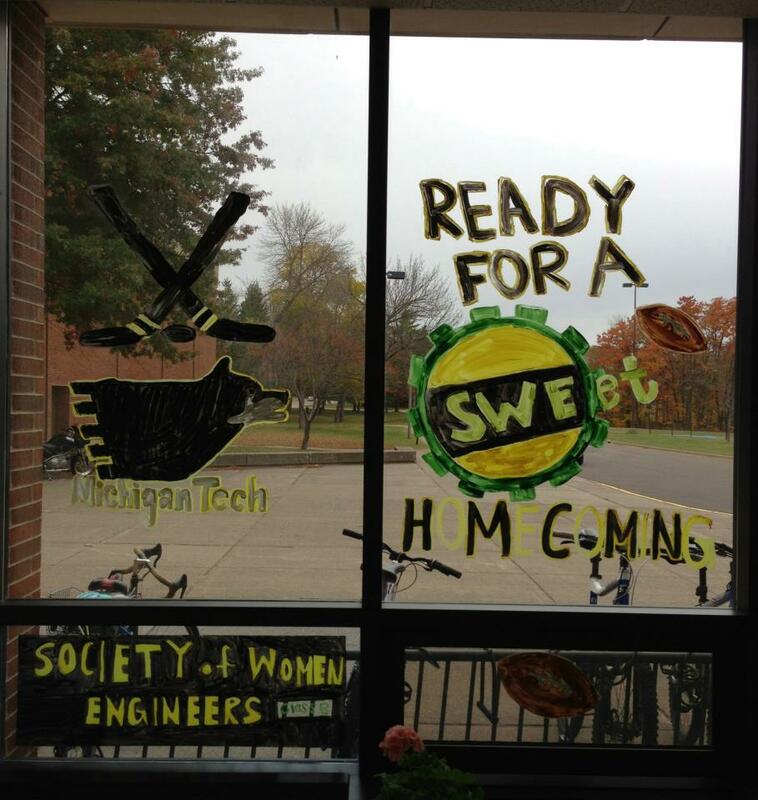 Homecoming week was successful for SWE! We had a lot of participants in the homecoming events and had some great turn outs in the rankings of all of the events. Here are some pictures of SWEsters playing and working hard to get SWE points! 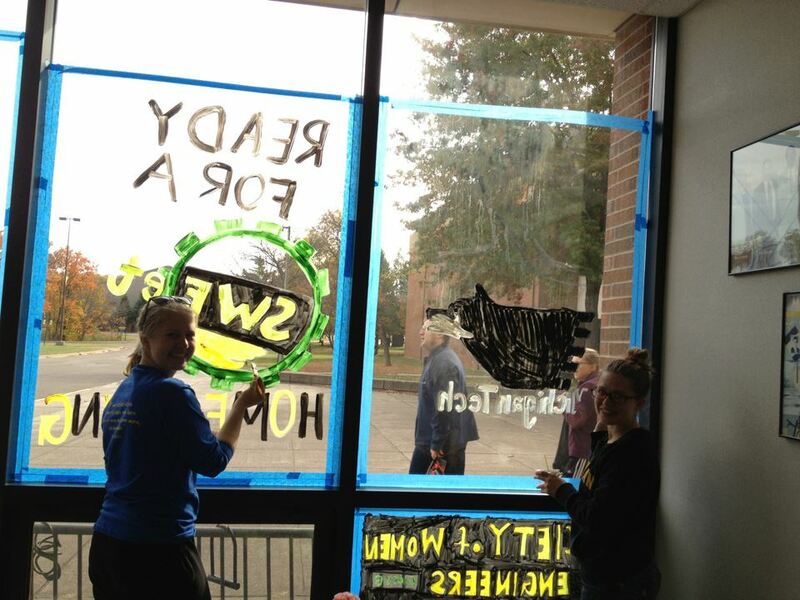 SWE members paint a window at the SDC for homecoming week. Finished window for 2012 homecoming window painting at the SDC. Great job ladies! SWE also participated in the Turkey Trot, Tug-o-War, Kickball, Fans in the Stands, and we sponsored our section president Kodi for homecoming court. SWE swept the top three places in the Turkey Trot with the following super fast runners: Kelsey Michael, Erika Poli, and Katie Price. Way to sweep the trot and be SWEet runners! Kickball was played with a Disney princess ball and we made it to the semi-finals. No win, but still loads of fun and a nice break from class work on Sunday. Plenty of SWE members came out for fans in the stands in order to support Husky Hockey in their first game of the year. The Huskies won and SWE was there to cheer them on. Card Board Boat races were also refreshing. 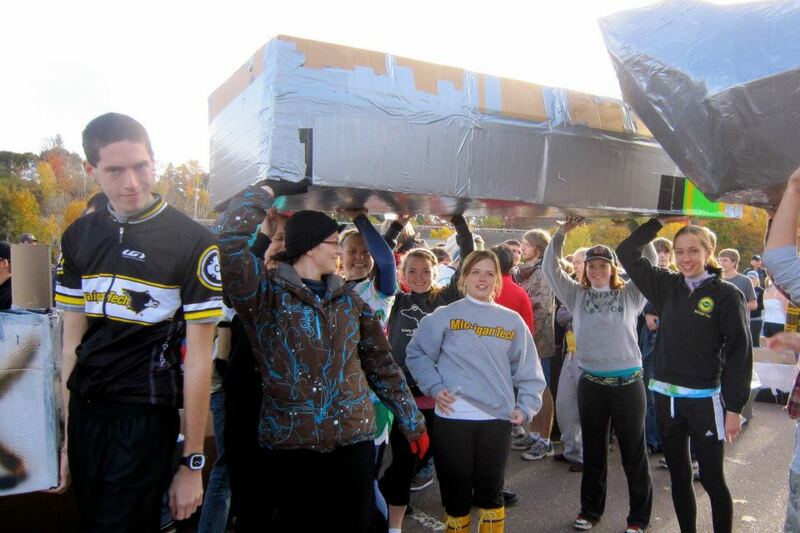 A boat was constructed of cardboard and lots and lots of duck tape. Below is a picture of members paddling their way back to the beach. 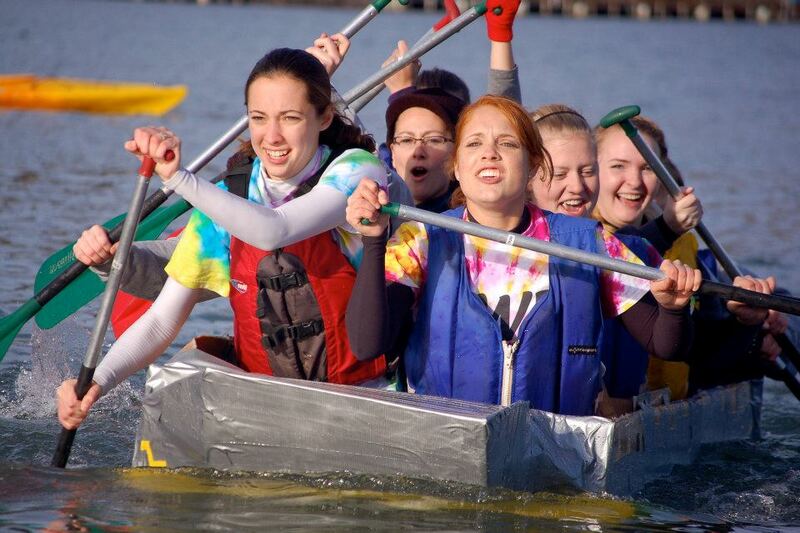 The look of SWEet victory and determination of SWE members in the MTU Homecoming Card Board Boat races in Hancock. Again, congrats to SWE and thanks to everyone that participated!! !